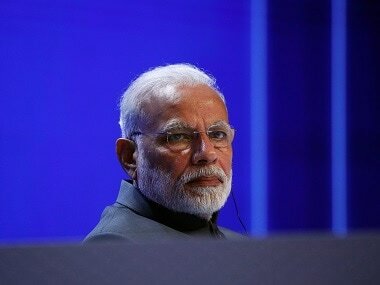 Abu Dhabi: The United Arab Emirates on Thursday bestowed Prime Minister Narendra Modi with the 'Order of Zayed', country's highest civilian order, in appreciation for his efforts to boost bilateral ties with the nation. "We have historical and comprehensive strategic ties with India, reinforced by the pivotal role of my dear friend, Prime Minister Narendra Modi, who gave these relations a big boost. In appreciation of his efforts, the UAE President grants him the Zayed Medal," the Crown Prince of Abu Dhabi, Mohamed bin Zayed Al Nahyan tweeted. Some of the other recipients of 'Order of Zayed' are Russian President Vladimir Putin, former Pakistani President Pervez Musharraf and Queen Elizabeth II. 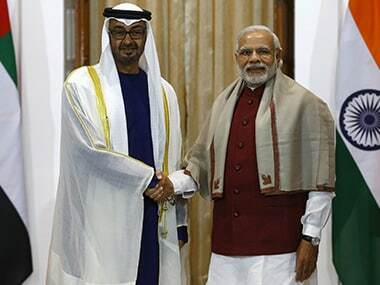 India and the UAE share warm relations that received impetus after Modi paid a visit to the nation in 2015, according to the Ministry of External Affairs. The Crown Prince visited India in 2017 as the Chief Guest for Republic Day celebrations in New Delhi, while UAE is one of the few countries that Modi has visited twice. "The State visit of the Prime Minister Narendra Modi to UAE on 10-11 February, 2018 helped in sustaining the momentum generated by earlier visits of Crown Prince in 2017 and 2016 and that of the prime minister in 2015," MEA stated. "India-UAE commercial relations are anchored by energy cooperation, trade, investments by UAE in India and investments and businesses driven by Indian expatriates in UAE," the ministry added. India-UAE trade stood at about $50 billion in 2017, making India the second largest trading partner of UAE, while UAE is India’s third largest trading partner (after China and the United States). Moreover, UAE is India's second largest export destination, accounting for over $31 billion for the year 2016-2017.